Champion Brands, a global leader in performance racing and diesel motor oils, announced today it will attend the 39th Annual Performance Warehouse Association (PWA) Conference in Phoenix, AZ on September 9th through the 12th. 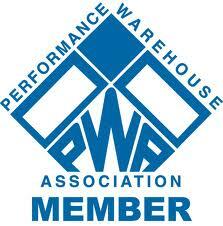 PWA is an organization of specialty automotive parts wholesalers dealing with management, financial, logistical, legislative matters. In recent years, this private sector has been under attack by consumer groups, governmental agencies, and labor pressures that make it impossible to defend themselves against all of these highly organized groups alone. The conference is an opportunity for manufacturers and distributors to discuss issues as well as sales and marketing policies and programs. Champion Racing Motor Oils products contain Champion’s proprietary TVS® (Thermal Viscosity Stabilizer), special lubricity modifiers, and a premium level of anti-wear additives which includes a high quantity of ZDDP. These additives are proven to meet the lubrication demands of competition engines, creating a tough film strength, which controls wear and provides more horsepower and torque in Dynamometer testing. About the company: Champion Brands, LLC, is a globally recognized industry leader in specialty lubricants for over 55 years. Champion Brands, LLC also produces and blends over 300 products including fuel, oil, engine additives, and lubricants for the racing, automotive, heavy truck, agricultural, industrial, and specialty markets. For more information about the Champion Rebate Offer contact your nearest Champion distributor, or call Champion at 800-821-5693 or 660-885-8151. Champion Brands, LLC; 1001 Golden Drive, Clinton, MO, or go to http://ChampionsUseChampion.com.